Hull KR make four changes to their 19-man squad, as London welcome back Will Lovell in the place of the injured Daniel Harrison. Tim Sheens announces that the Rovers will be without Adam Quinlan, Mose Masoe, Lee Jewitt and Justin Carney for the match. Danny Ward has made just the single change to his squad, with Will lovell returning to the fold. The Qualifiers fixture will take place at KCOM Craven Park at 18:00. Hull KR: Junior Vaivai, Danny McGuire, Nick Scruton, Shaun Lunt, Maurice Blair, James Greenwood, Ben Kavanagh, James Donaldson, Chris Clarkson, Tommy Lee, Robbie Mulhern, Liam Salter, Chris Atkin, Will Oakes, Joel Tomkins, Todd Carney, Craig Hall, Ben Crooks. 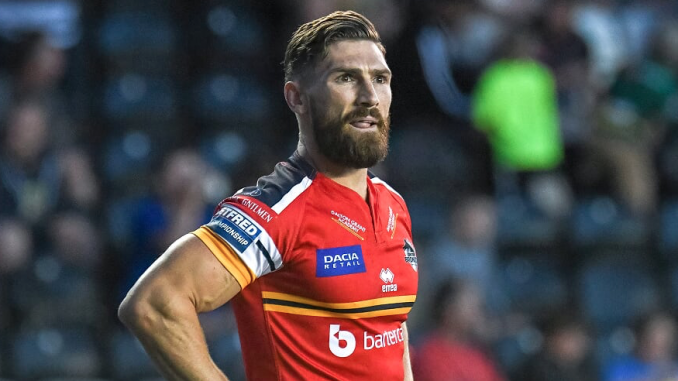 London Broncos: Sadiq Adebiyi, Eddie Battye, Michael Channing, James Cunningham, Matt Davis, Kieran Dixon, Ben Evans, Matty Gee, Ben Hellewell, Daniel Hindmarsh, Mark Loane, Elliot Kear, Will Lovell, Eloi Pelissier, Jay Pitts, Jarrod Sammut, Tom Spencer, Alex Walker, Rhys Williams.